The Diaper Bank of Central Arizona serves the Valley’s most vulnerable families through over 30 Partner Agencies who help families in need. We work under the umbrella of the Diaper Bank of Southern Arizona, the nation’s first Diaper Bank! All donations serve families in central Arizona. The Diaper Bank of Central Arizona provides diapers to partner agencies that work with people in need. Our partner agencies have agreed to provide an emergency supply of diapers to those in immediate need. Families, schools, businesses, organizations, youth and faith-based groups help us build the Diaper Bank of Central Arizona. 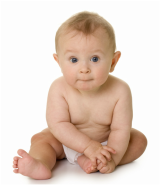 Diapers cannot be purchased with food stamps and are not provided as part of WIC programs. Help us help babies in need. Diaper Bank will purchase diapers for low-income families with babies. needs. There is only one Diaper Bank in Phoenix that helps to support these agencies with diapers so that they can focus on the other important needs. To see our current list of non-profit agencies we support, click here. Ginger Clayton, Founder of the Diaper Bank of Central Arizona tells her story on why the Diaper Bank of Central Arizona is so important our community.